Scout Troop 171 in Boulder, Colorado periodically sells coffee to raise money for backpacking trips and Scout camps. This year, they added an option for non-coffee drinkers—the opportunity to donate coffee for MWDTSA care packages. Sticks Coffee in Superior, Colorado also hosted a coffee fundraiser. 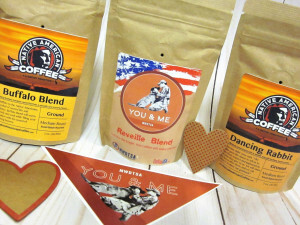 As patrons streamed in from hockey tournaments, the cashiers asked, “Would you like to add a $10 donation to your purchase today to send coffee to a deployed military working dog handler?” Signs on the doors and at the register invited customers to take part in the drive. A post to the Oh-Oh-Two-Seven Facebook page, which serves zip codes 80027 and 80026, brought forth additional offers of help. Louisville Realty Associates (LRA) asked about our greatest Q1 needs. We had not yet secured Q1 jerky donations for handlers or dogs, so they took on that activity. The same week LRA stepped forward, Smokehouse Jerky of California offered another generous bulk purchase discount. 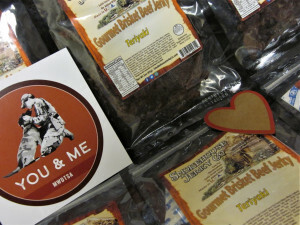 LRA, Nickerson Marketing, and Deep End Solutions pooled resources to fund the jerky purchase for handlers. Additionally, LRA made a personal introduction to a friend at Buckley Pet, a local dog treat manufacturer. Buckley Pet donated 200 bags of Skin & Coat Beef Jerky, enough to send one in every care package. OOIDA (Owner-Operator Independent Drivers Association) of Grain Valley, Missouri sponsors a “Truckers for Troops” fundraiser each year. Taking advantage of a generous discount from FIFTY/FIFTY, OOIDA purchased 200 coffee tumblers for our Q1-2019 boxes. We stuffed these 20-ounce tumblers to the brim with donations from Juanita’s Pepitas, Perfetti Van Melle, Phillips Pet Food & Supplies, Picky Bars, Sweetwood Smokehouse, and VerMints. Other handler surprises included dried apricots from Mariani Packing Company; Blue Diamond Smokehouse Almonds; Honey Stinger waffles; Cocomels from JJ’s Sweets, Inc.; cooling wipes from Duke Cannon; and magazines from 5280. 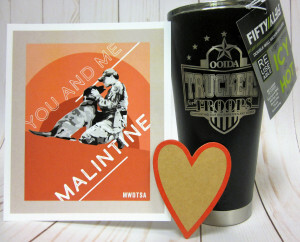 Each handler also received a t-shirt emblazed with “You and me, Malintine,” in honor of Valentine’s Day. We are grateful to Christian Print Shop, Inc. of Alpharetta, Georgia for their long-term support of MWDTSA with high-quality t-shirts. And to the five Kohl’s employees from the Louisville, Colorado store, who folded all 200 t-shirts into plastic bags with size labels! The students of Jefferson Academy in Broomfield, Colorado created art to include in the care packages. This school has supported MWDTSA with art three times—Q4-2016, Q4-2017, and Q1-2019. 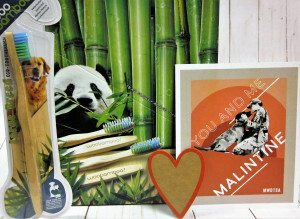 Woobamboo donated Large-Breed toothbrushes for the second year in a row. A Petco Foundation grant, coupled with bulk purchase pricing from Prima Pets, enabled us to send a sturdy collapsible dog bowl in each care package. Rex Specs hosted a donation drive in December to collect protective eyewear for our military working dog teams. 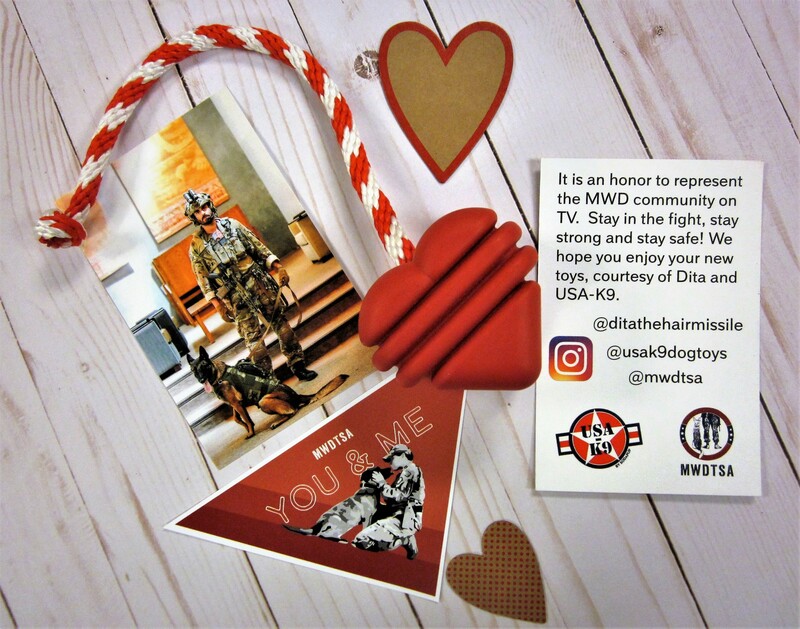 “Dita’s Donation Drop,” sponsored by Dita The Hairmissile, plus a matching program by SodaPup, yielded 200 Heart-on-a-String toys for our Q1-2019 boxes. And yes, these dogs do have our human hearts on a string. Thanks to the annual KONGs for K9s drive, we included the KONG Extreme Tire in each care package. Numerous retailers and veterinary clinics help with this drive each year—including three that contributed to Q1-2019 care packages in other ways. Action-Packed Pup collected both tires and undercoat rakes. Kriser’s Natural Pet in Westminster, Colorado invited us to do an in-store event to collect tires and dog jerky. A special shout-out to Chuck and Don’s Pet Food & Supplies (Longmont, Erie, and Arvada, Colorado). The Longmont store has hosted MWDTSA for in-store fundraising events for 30 straight months. They have taken part in the KONGs for K9s drive for three years. They have led our quarterly care package assembly twice. The managers of the Erie and Arvada stores, along with an Arvada team member, spearheaded our Q1-2019 packing event. Hats off to the Louisville (CO) Police Department for hosting our 2019 packing event and allowing us to make a temporary mess in the basement of the police station. We are grateful for your hospitality—two years in a row. And to the United States Postal Service in Louisville, Colorado for spending a Sunday with us for the second year in a row. It was amazing to have you at the end of our packing line, and you worked tirelessly to get the boxes to the Post Office on a cold night, well after sunset. Many thanks to all who made the Q1-2019 care packages possible, including a multitude of Amazon Wish List donors. UPS Store 1905 graciously received the many Amazon boxes and manufacturer donations, holding packages for us until we could pick them up. Nashville Wraps provided bags and ribbon for packaging donated candy. Your contributions allow us to support both ends of the leash, and we are grateful. Interested in helping with future care packages? Here are 14 ways to get involved, including a link to our Amazon Wish List. Or reach out to president@MWDTSA.org. If you, a group, or your company would like to support military working dog teams, here are several ways to get involved. Pick something from the following list, or use these ideas as inspiration for a new endeavor. It takes a village to fill our quarterly care packages. We invite you to join us in supporting both ends of the leash. 1) Donate 200 of an item. We try to make each quarter’s care packages relatively uniform, so that all recipients are getting the same dog toys, snacks, etc. This means we need 200 of any item we’re planning to send. Every quarter, we aim to include made-in-USA jerky, dog treats, human snacks, grooming products, and other supplies. If your company makes a product you think handlers or their dogs might like, let’s talk! If you are able to provide the full quantity of an item, we add you to our sponsor page (https://mwdtsa.org/sponsors/). We also highlight your involvement via our social media channels. 2) Provide a bulk-purchase discount. If you are not able to outright donate 200 of a particular product, consider offering a bulk purchase discount. If MWDTSA can buy your product below wholesale cost, the difference between your discounted and wholesale price is tax-deductible. We provide a donor acknowledgement letter for your tax records. 3) Offer a matching program. Customers buy one, and you throw in a second—so we end up with two care package items for the price of one. 4) Team together to sponsor a care package item. Maybe you’re a real estate company or high-tech firm that doesn’t manufacture products, but you’d still like to help fill care packages. MWDTSA can match you with a bulk-purchase discount, enabling your organization’s donation dollars to have more purchase power. In the past, volunteers have coordinated golf tournaments, 5Ks, nail trimming events, Chick-fil-A fundraising nights, and other creative activities—all to raise money for MWDTSA care packages. Destination Imagination teams, Scout troops, Bar/Bat Mitzvah candidates, coffee shops, breweries, and others looking for a service opportunity can make a big impact for MWDTSA. 6) Host a toy/treat drive. 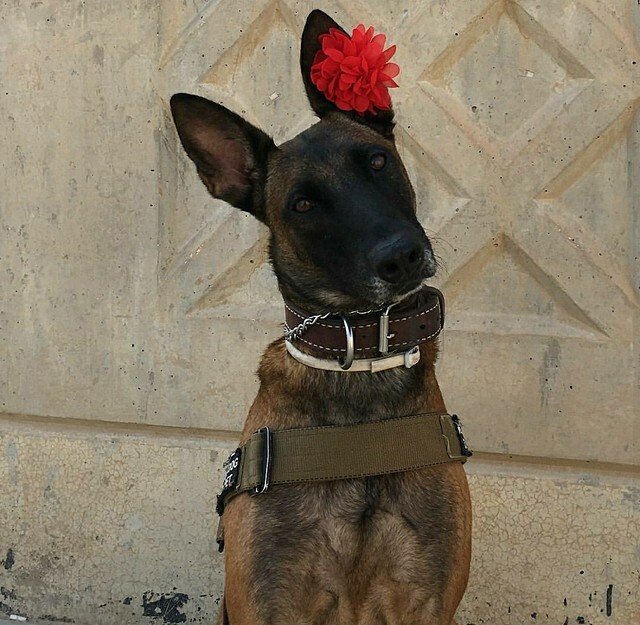 If you own a retail store, veterinary clinic, or grooming salon, you can order in one of our wish-list products, place it at the register, and ask clients, “Would you like to add a treat for a military working dog to your purchase today? 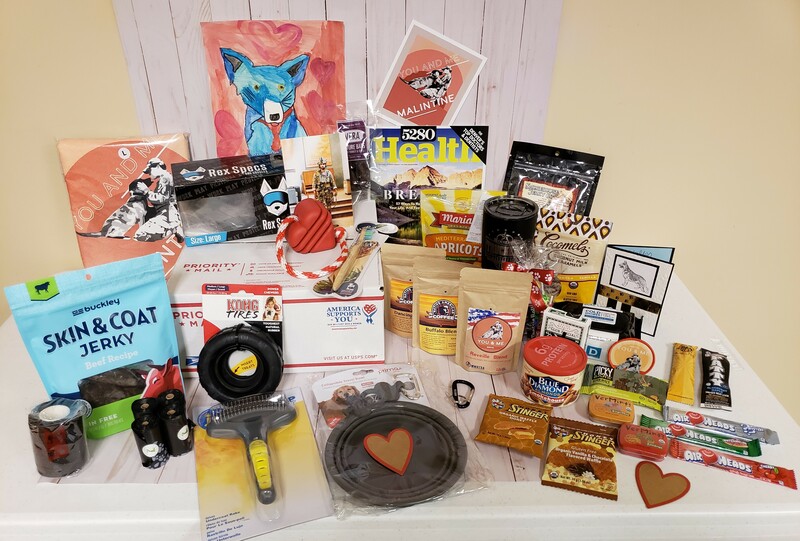 We’re collecting care package items for dogs deployed in global combat zones.” Customers leave their donation with you, and at the end of the drive, MWDTSA makes arrangements to get the donated products to our packing location. Maybe your neighbor’s company produces an amazing snack item. We can equip you to approach your friend with a donation request. Your personal introduction can pave the way for important new partnerships and collaborations. 8) Add MWDTSA as an option on your order form. 9) Adopt a care package. We will include a card in the care package, acknowledging who sponsored the box. This is a fun option for a Scout troop, school group, company, or family that wants to support military working dog teams. For more information, contact president@mwdtsa.org. A colorful painting of a dog provides cheer for handlers. Each quarter, we need at least 200 pieces of children’s art. Contact president@mwdtsa.org for criteria regarding size, subject matter, and medium. 11) Write letters of encouragement. No one knows about deployments better than veterans who have served in global combat zones. Think back to your time overseas. Are there funny stories you can share? Advice you wish you had known earlier? Poems that boosted your morale? We’re looking for veterans groups who would like to write letters so that every care package we send has a personal communication in it. If you regularly shop on Amazon for your business or home, Amazon Smile donates a portion of your purchase price to the nonprofit of your choice. Choose Military Working Dog Team Support Association, and every purchase you make will help support military working dog teams. 13) Visit our Amazon Wish List. Each quarter, and for special occasions such as National K9 Veterans Day, we maintain a registry of products we plan to include in upcoming care packages. You simply purchase one or more items, and Amazon sends them directly to our packing coordinator. Each wish list donation is tax deductible. To send one care package requires nearly $18 in postage, and we send about 200 boxes per quarter. Some individuals and businesses contribute dollars to cover the postage bill. Thank you for helping us support both ends of the leash! Photo credit: Alex Sierra, Kohl’s, Louisville, CO captured this image of MWDTSA’s Q1-2019 care package contents. Alex and four colleagues from Kohl’s helped with pre-packing activities such as folding 200 t-shirts and inserting them in plastic sleeves. Stock up on dog shampoo. Thomas K Organics is donating 10% of each sale to MWDTSA. 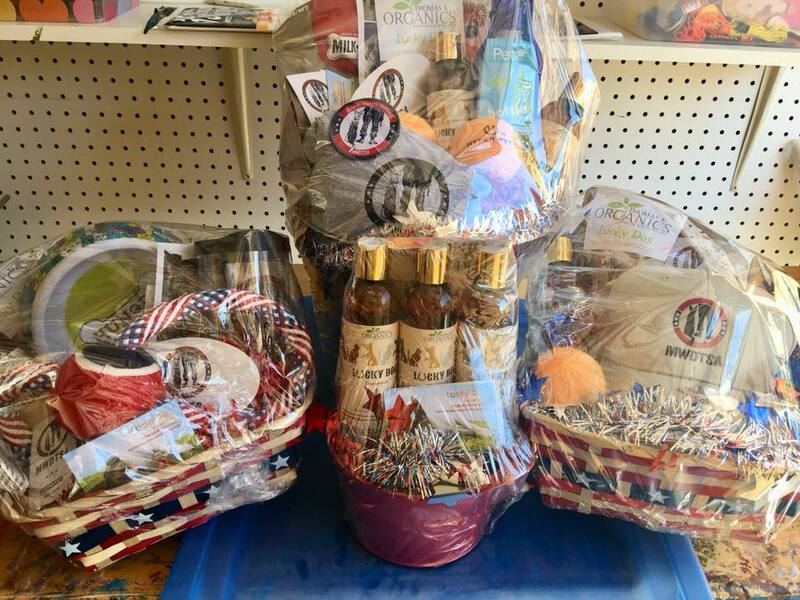 Buy a raffle ticket for one of four Thomas K Organics/MWDTSA gift baskets. All—yes, 100%!—of the raffle proceeds will go to MWDTSA. Purchase a $100 Wine & Wags raffle ticket for a chance to win a European cruise worth over $7,000 (or one of the other clever prizes, such as a wine barrel dog house). For every raffle ticket purchased through Thomas K Organics or MWDTSA, MWDTSA will receive a $50 donation. Video courtesy of Livermore Valley Wine Growers Association. Check out the event map to learn more. You can pay the admission fee online before you arrive. To support MWDTSA, visit Page Mill Winery, Luck Dog Shampoo booth, to purchase raffle tickets. If you are not able to attend the event but want to enter the cruise raffle in support of MWDTSA, please email president@MWDTSA.org with your contact information. MWDTSA thanks Page Mill Winery, LVWGA, and Thomas K Organics for your support!